there is a town called Taal where numerous ancestral houses are alive and of use as a residence or museum. 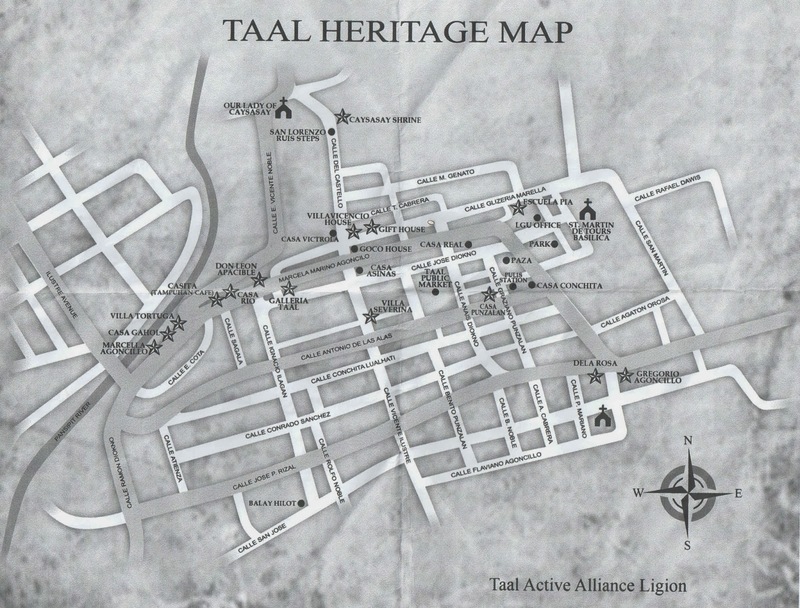 In Taal heritage continues and is being preserve by the people and the government. 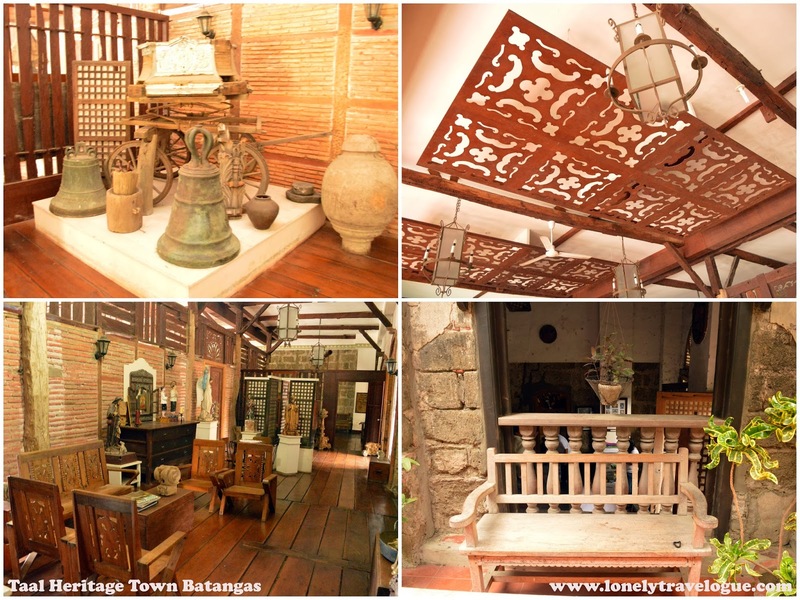 Taal Heritage Town is the former capital of Batangas province until they transfer the seat in now called Batangas City. 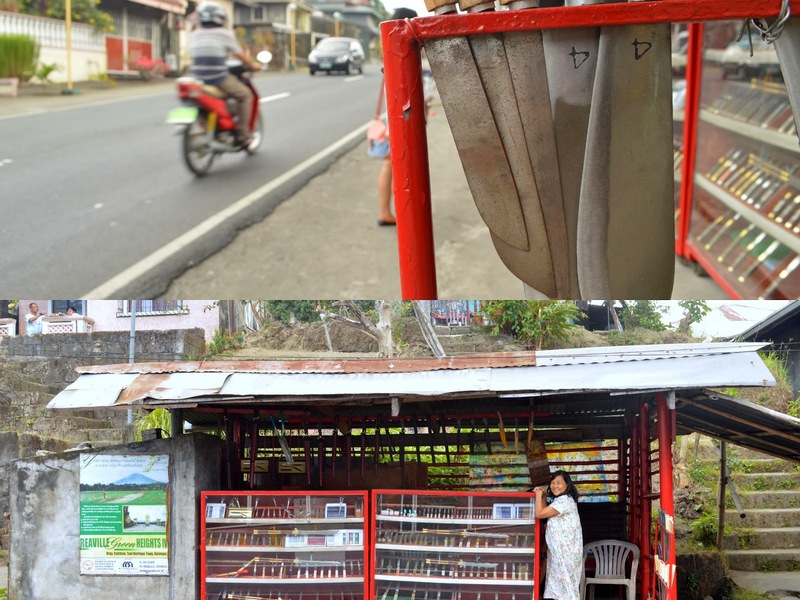 This little town is named after the worlds smallest volcano called Taal Volcano located in the middle of Taal Lake. Surely you confuse the two as the latter is more famous than the little town. But did you know that Taal Town was located in the shores of Taal Lake until the volcano erupted sometime in the 17th century. Because of safety concerns the whole town transferred in its present location. 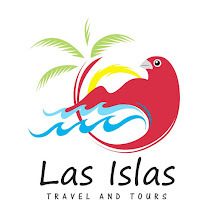 I invited some friends to visit and see how the people of Taal Town lived in such and manner where the luxury of Spanish Colonialism blended or incorporating the Filipino culture ingenuity and creativity. Romel gave me a nod right after his life changing Trip in Batanes. I will soon labeled him as my travel buddy. Watched out. Romel invited his friend April, uhhmmm... yes friend, and Lana to join us in the tour. Before we started our tour we decided to grab some food for breakfast. Having no fast food within the center of town, we proceed to the Palengke or Market for our breakie. The biggest Church in Southeast Asia. Surely it is. Not your regular church facade but is has a distinct feature to be listed as one of my favorite churches in in the Philippines. It is really big as compared to the other I have seen in the Philippines. It took me awhile to study and appreciate each details of this structure in every angle. The church served as our introduction to the nostalgic Heritage town of Taal. I was amazed and wowed by the the wood furniture and the rustic feel of church. I entered the adjacent building of the church called Casa San Martin through the door on the right side of the church. I went there alone because my group has their own agenda inside the church. Lana, as always, will say a prayer whenever we enter a church. I notice this when I invited her in UST and when we had a walk in Greenbelt Church. April does the same. Romel take a lot of pictures like I did. There where times I prefer to walk alone and appreciate the beauty by myself that was why I distant myself with them. Going back, I went to Casa San Martin and I was awed by the wooded statues and furniture inside it. There is a museum like living room wherein the rooms of the lay people and the priest is located. After I scrutinize each piece in the living room-museum, I notice that a door opened (picture below) and when I look at it, low and behold, I saw my dream bed room, living room and library all in one. I wanted to enter and take some picture (or maybe not) but I wanted to give some privacy to the whoever occupies the room. Hangang tingin nalang ako. Don't you like to have this room? 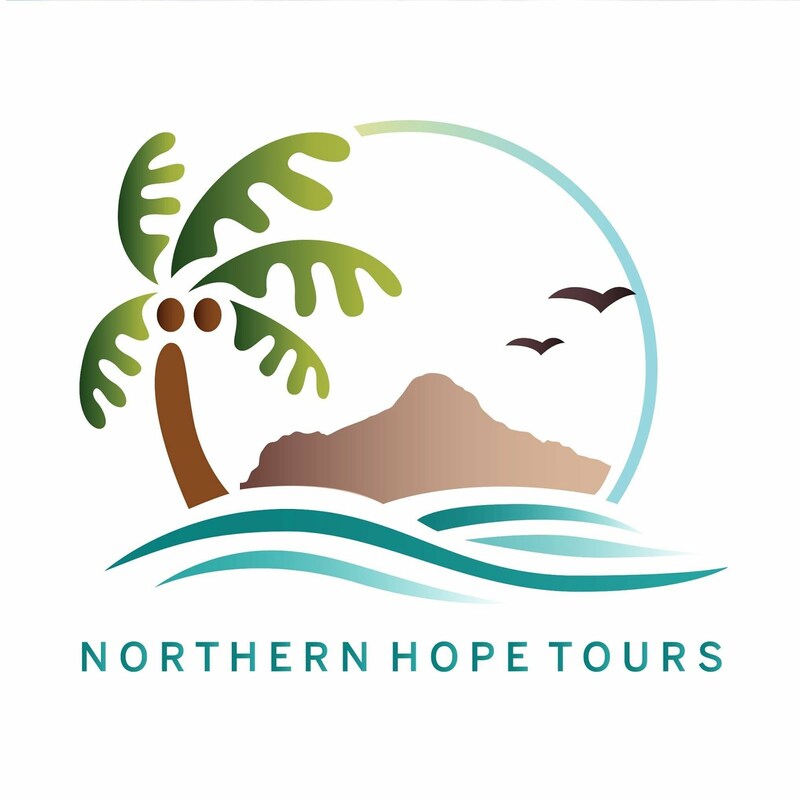 Notably Taal is home of people who has a mark in the search for freedom against the Spaniards. One notable figure is a lawyer educated in the Ateneo and University of Santo Tomas. Felipe Agoncillo is tagged as the first Filipino Diplomat lobbying in Europe and America for the Philippine Independence. Enough for the Sibika at Kultura tone. We didn't enter the house because my friends don't want too. I wanted too but... there are other houses to visit so I conceded. Stretch of Old Houses along Marcela Marino Agoncillo St. Along Agoncillo Street is the stretch of maintained and un-maintained old houses. One of which is the Ylagan-Baron House where you can see a collection of vintage cameras treasured by Mr. Manny Inumerable. He collected the 135 pieces of vintage cameras from all over the world. We met sir Manny and he personaly toured us in his museum. I asked him what is his favorite among his collection, he pointed me this big 1900 camera. The Museum collects a minimal amount of Php80 for the maintenance. This Bahay na Bato is the Ancestral House of yet another prominent figure during the revolution period. This is one of the well preserved ancestral houses in Taal Town. Don Leon Apacible, a lawyer served during the stint of Gen.Emilio Aguinaldo as a Finance Officer. Don Leon hosted our national hero in this house during the crucial time in our history. This house which has a rich collection of wooden furniture and porcelain items from China now belongs to the government. 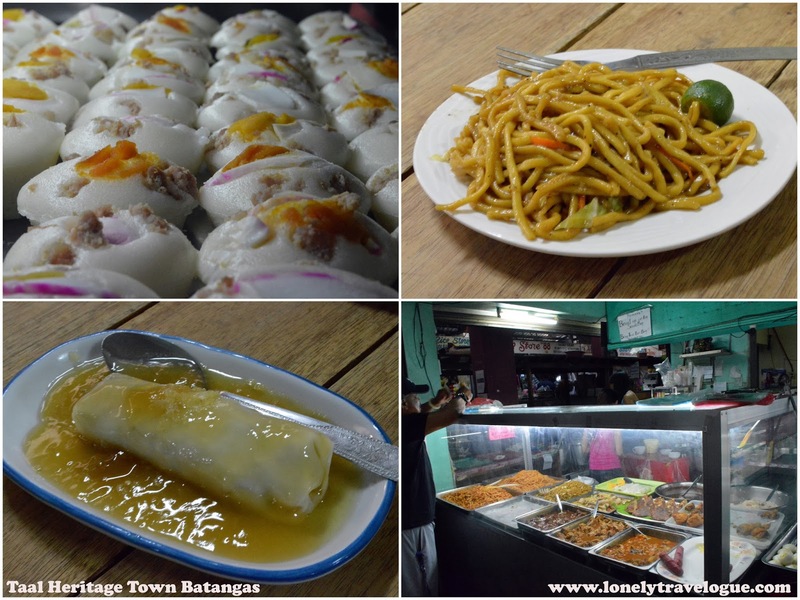 Also along Agoncillo Street is a small old house converted in to a small cafe. This cafe is one of the cutest cafe I have been to. 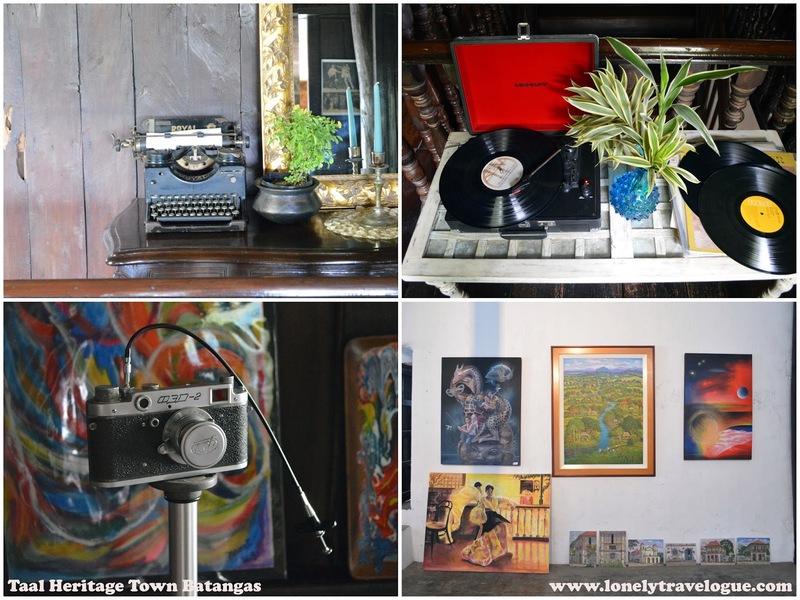 Named after the painting of Juan Luna called Tampuhan, this cafe and art gallery is a perfect place to rest after your numbing walkaton in Taal Town. It does not only offer affordable menu, not to mention the Php30 nilagang kape (Boiled Coffee), it has this distinct atmosphere that will make you stay and think of your life and dreams. 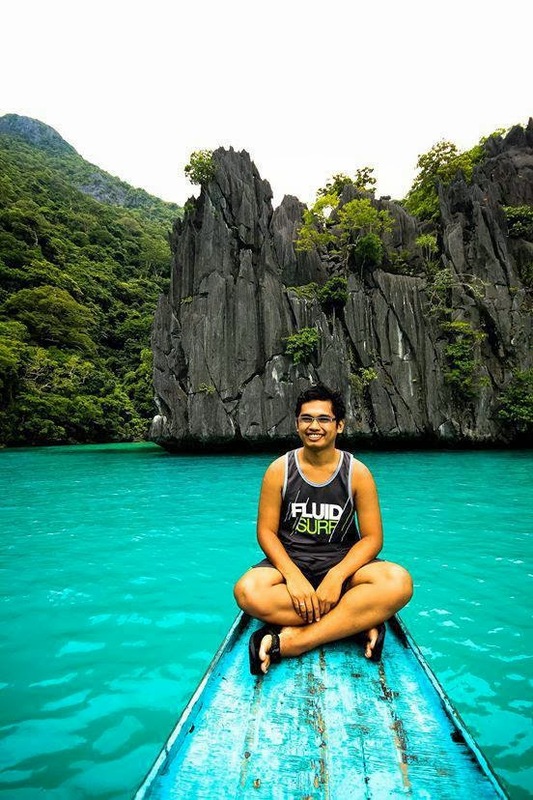 As for us, the environment made us reminisce our teen-hood through remembering some songs and famous local and foreign artist of the 90's and early 2000. Yeah Batangs 90's at early 2000 kami. 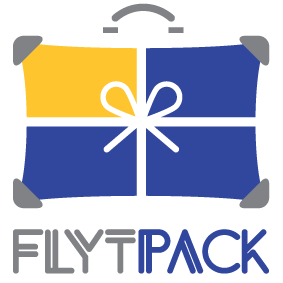 Upstairs is a bed and breakfast facility wherein pieces of timeless collections are displayed. If I have a day to spare I am sure Atty. Marj, the owner will allow me to stay and just read my favorite book in the living room. Atty. Marj do not own the house but her passion to restore old houses brought her feet in Taal Town. Our last stop was the Marcela Agoncillo House. Everybody knows her as the one who sewed the Philippine Flag in Hong Kong. This house was donated by her children to the government. After all no body can take care of this house because the four girls of Marcela didn't marry thus has no children. Upon entering you will notice that they were living in high standard as evident by the way the house is build. The house also has an access to the river because of the trading business of Marcela Agoncillo's father. 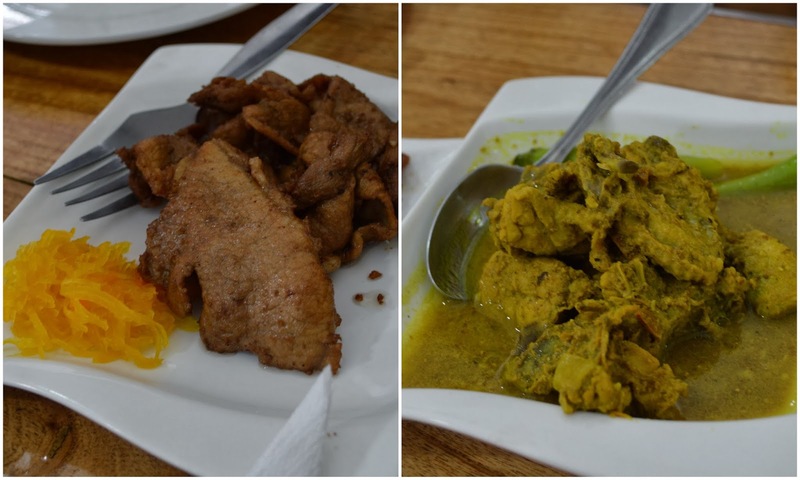 Aside from ancestral houses and century old church, Taal Town is also known for its Tapang Taal and Adobo sa Dilaw. So head on to the public market to buy this marinated pork for your present at home. Another notable items that can be found in Taal are the Balisong and Barong Tagalog and some other wedding dresses. If you plan to get a customize Barong Tagalog or looking for some wedding gowns you might want to consider Taal Heritage Town. Balisong or a knife that can be twisted (Bali and Sundang) is a local craft of the Taaleno. A barangay named Brgy. Balisong is where you can find iron men artistically creating these dangerous toy. If you don't want to own a balisong like me, you can have their mini version made a key chain for tourist. 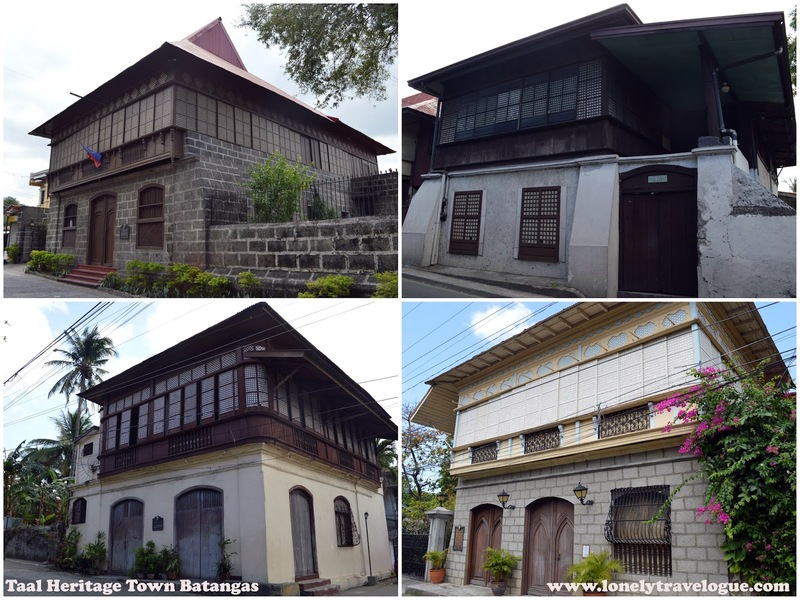 Seeing ancestral houses like these connects us from our past. These houses are the windows of our past how are people then lived and value life. Its not just another historical walk, its allowing yourself to get into the culture. Seeing how they lived would let you understand our attitudes today how we resolve conflict among neighbors and why we value what we value.